A hole in the wall style, contemporary, outdoor fireplace available for both natural gas or bottled gas. 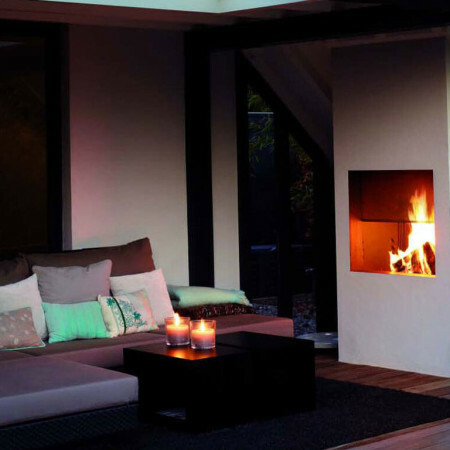 This modern outdoor fireplace is glass enclosed meaning that it has a very high heat output and provides wonderful radiant heat to the surrounding area. 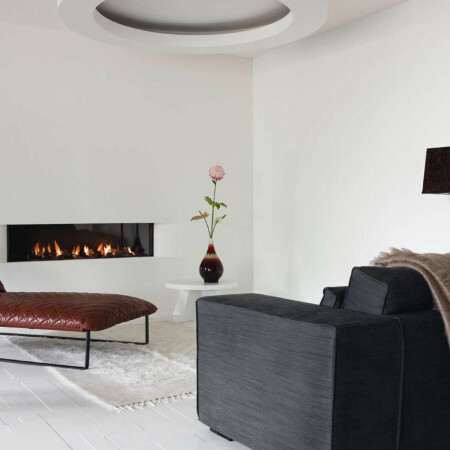 It has a unique corten steel finish which gives the interior of the fireplace an unusual rusted look, ideal for an exterior setting. Simple to install in almost any situation, this outdoor fireplace is also available as double sided fireplace where both sides are transparent allowing this fireplace to be installed between two outdoor settings. Please contact a Design Consultant for further information.